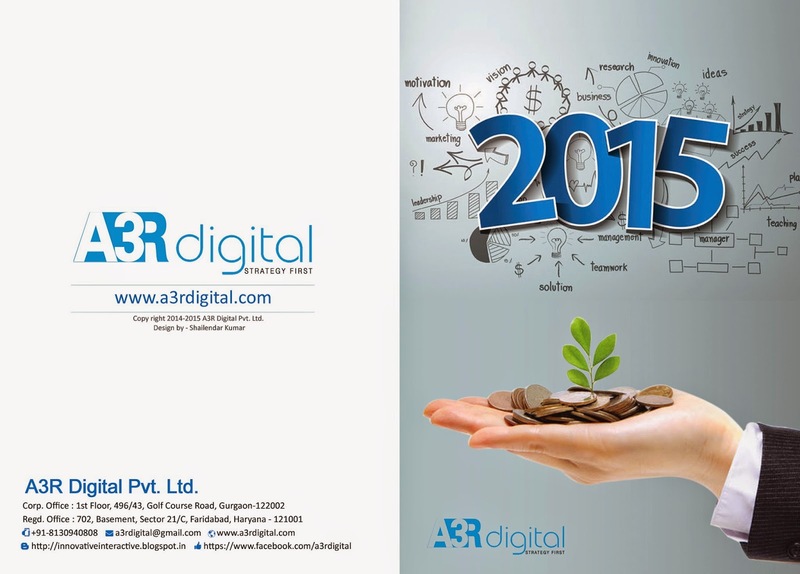 New Year 2015 Resolution from A3R Digital Pvt. Ltd.
We Love Client’s Business Challenges. We continue to Move Forward even if going gets tough. We learn from Criticism & get Inspired from Success of others. We believe that Growth requires Steeping into unknown territories. We are growing day-by-day with each & every Client’s interaction. We come out of our comfort Zone very easily to support our clients. Excellence, Improvement, Achievement & Success are the only meaningful words. We embrace change. We value commitment. We deliver results. We are here because of you. We love you so much. 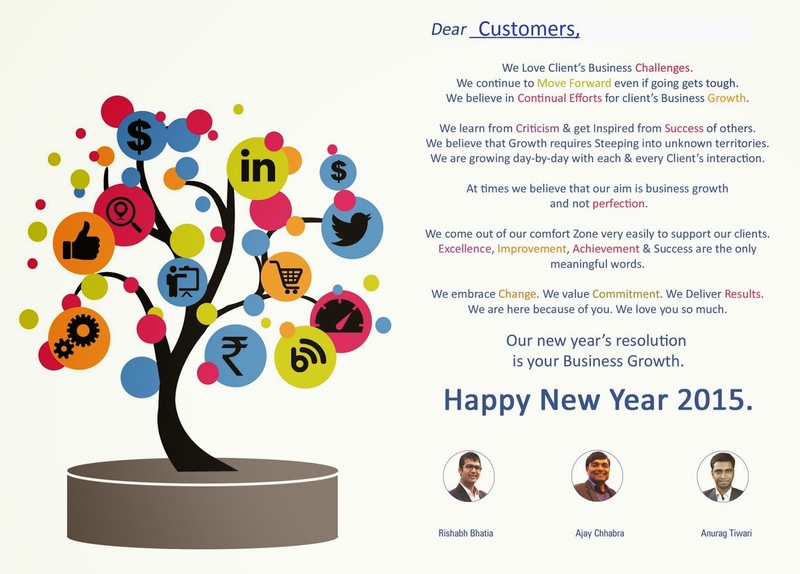 Our new year’s resolution is your Business Growth.